Another Trip, Another Exciting Project! 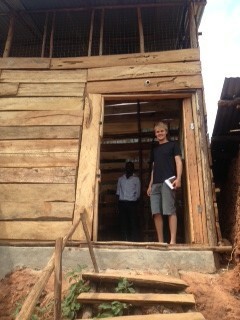 Our UK Directors have just returned to Uganda for 3 weeks. Here Corrie tells us how her first few days back are going and reflects on the last few years. "We have just arrived in Kampala to begin a busy few weeks catching up with all that is happening here on the ground in Uganda. 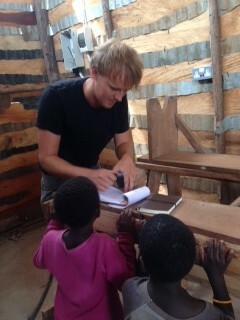 On Saturday I left Dublin for Kampala with my husband Jonny. Together we packed up 84kg of carpentry tools for use at our new Slum Carpentry Project and jumped on the plane. Olivia and her husband Huw met us in London and we all flew to Entebbe together. My co-director Olivia and I visit about three times a year and each time we come back there is evidence of more and more progress being made. It is so exciting to see the impact of all the fundraising efforts and generous donations of so many supporters around the world. During this trip we will see the launch of a new slum carpentry project, the expansion of our Ewafe re-integration program and we will be having a send off for all our sponsor children who begin a new term of school. That’s just to name a few of the things that are happening this week! 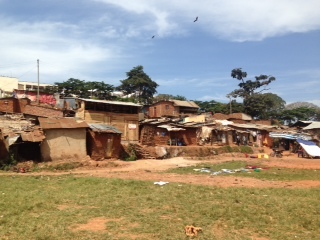 Next week we will also be welcoming two volunteers to Kampala who will be staying for two weeks. Tom will be volunteering at our education project and George will be using his skills as a photographer to help us document the progress that has been made at our many projects over this past year. I am personally really happy to be back in Kampala which holds such a special place in my heart. I can't wait to catch up with all of our staff, volunteers, community members and of course the kids at each of our KCK centres. When I look back to when I first came to this beautiful country I could never have imagined that I was going to be involved in such a great organisation with so many amazing people. I can't believe how much we have grown in size and impact and how many children’s lives are being changed for the better. When there's so much work to do and so much responsibility it is easy to forget how far we have come in such a short time. Thank you to everyone who has supported us and believed in Kids Club Kampala over the past few years, we could not have done it without you!" Please keep updated on how we are all getting on via Facebook, Twitter and Instagram. Older PostNew Kids Club Centre Opens!